Putin: laws to be sifted through red-tape filtering review process | Russian Legal Information Agency (RAPSI). MOSCOW, May 27 - RAPSI. Russian Prime Minister Vladimir Putin said that both the current laws and laws in the drafting stage should be scrupulously reviewed for red-tape hurdles, especially those which are strongly criticized by the business community or have the potential to impede business and investment activities. He emphasized that the laws should be reviewed in a public, transparent manner, and include the input of experts and business representatives, as well as self-regulatory and public organizations. 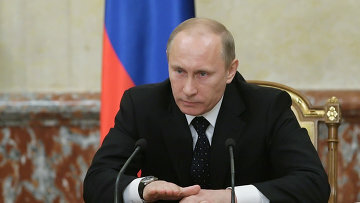 All of the draft laws which impact the country’s business environment should first be scrupulously examined by the authors of the draft bill themselves, and then be passed through the Ministry of Economic Development, Putin said. 10:25 27/05/2011 Russian Prime Minister Vladimir Putin said that both the current laws and laws in the drafting stage should be scrupulously reviewed for red-tape hurdles, especially those which are strongly criticized by the business community or have the potential to impede business and investment activities.